Among Spanish Jews, a dish composed of beans, peas, fat meat, and eggs, placed in an oven over Friday night, and eaten at the Sabbath meal. 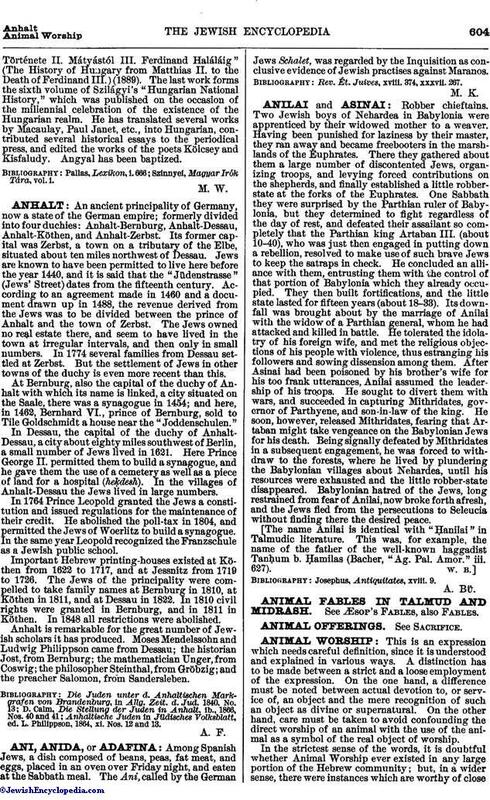 The Ani, called by the German Jews Schalet, was regarded by the Inquisition as conclusive evidence of Jewish practises against Maranos. Rev. Ét. Juives, xviii. 374, xxxvii. 267.